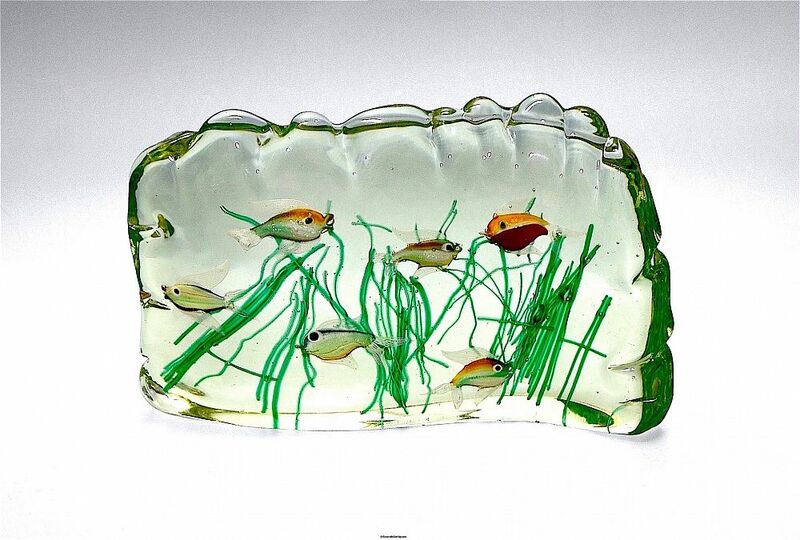 This is a fabulous "aquarium" by the Italian master glassmaker Alfredo Barbini. It is a solid curving piece of glass with rippled top and sides within which there are 5 fishes of various sizes and colours swimming amongst seaweed & bubbles. The whole sculpture is like a slice of the ocean! I am not certain whether this was made by Barbini for Cenedese which would date it to the late 1940s or whether it is one made at his own glassworks which would date it to the 1950s.